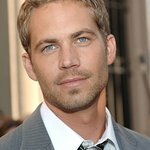 Fans of Fast and the Furious star Paul Walker will band together on December 11 for a special Day Of Hope to raise money for the star’s REACH OUT Worldwide charity. Organizers of the Day Of Hope are asking fans of Paul to donate $5 on December 11. Their message is simple: "In the next few weeks, think about all of the holiday shopping you may be doing, the extra trips to the coffee shop for those tasty beverages. Maybe you like to go out drinking with friends and go to restaurants this time of year in anticipation of all kinds of celebrating. Think about saving one of those coffee drinks, appetizers, or alcoholic beverages and taking the money you saved and sending it to Reach Out Worldwide. The economy has been tough for everyone, and we all are very understanding and sympathetic to those struggles. If you can’t afford to donate, there is zero pressure to do so. Our goal with this project was to bless Paul and ROWW. To find out more about how you can take part, click here. For more information about ROWW, visit www.ROWW.org.